Photo: Sunshine above, valley fog below — not unusual winter weather at Mission Ridge. Sunshine is, in fact, such a powerful magnet that 45 percent of this hill’s visitors come from the Seattle environs. 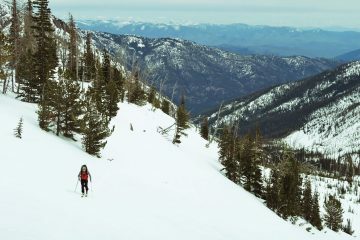 Trigger-happy, SAD-infected skiers pack up their Rocket Boxes, pass several ‘Wet’-side hills, and make the three-hour pilgrimage to Mission by cruising east on Interstate 90 then following the snaking course of Highway 97 across Blewett Pass to Wenatchee. It’s not only the region’s yearly total of 300* blue-sky days that draws people from the gray zone. It’s also the temperature. As the maritime air off the Pacific unloads moisture along the Cascade Crest, the air blowing down the eastern slopes becomes remarkably colder. Few Northwesterners appreciate this but Mission’s snow quality is more akin to Idaho powder than Cascadian cement. Which is why Mission is sometimes called a Cascadian Sun Valley. Aside from the weather, the comparison is a stretch. Mission boasts only two-thirds the terrain and the drop. More significantly Mission boasts no web of high-speed lifts (only one high-speed quad and three double chairlifts), no shi-shi log lodges (only a modest base lodge and a hut-styled mid-mountain lodge), and no Schwarzeneggers (only anonymous Microsoft, Starbucks, and Boeing visitors). 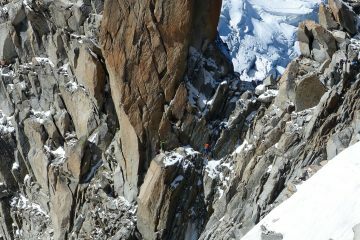 Photo: Dahlgreen descending one of the Bomber Chutes. The ski hill sits in a north-facing, horseshoe-shaped basin with Chair 1 and the Liberator Express carrying visitors up the gut of the basin to an exposed ridge with views to the northeast over the blue ribbon of the Columbia River and to the southwest over the white hulk of Mt. Rainier. 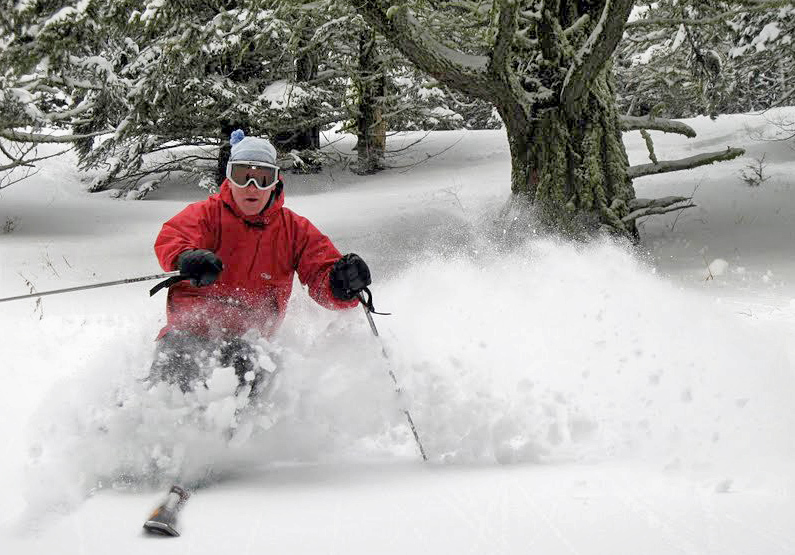 Chairs 3 and 4 service the flanks of the basin with its quieter trails and scenic glades. 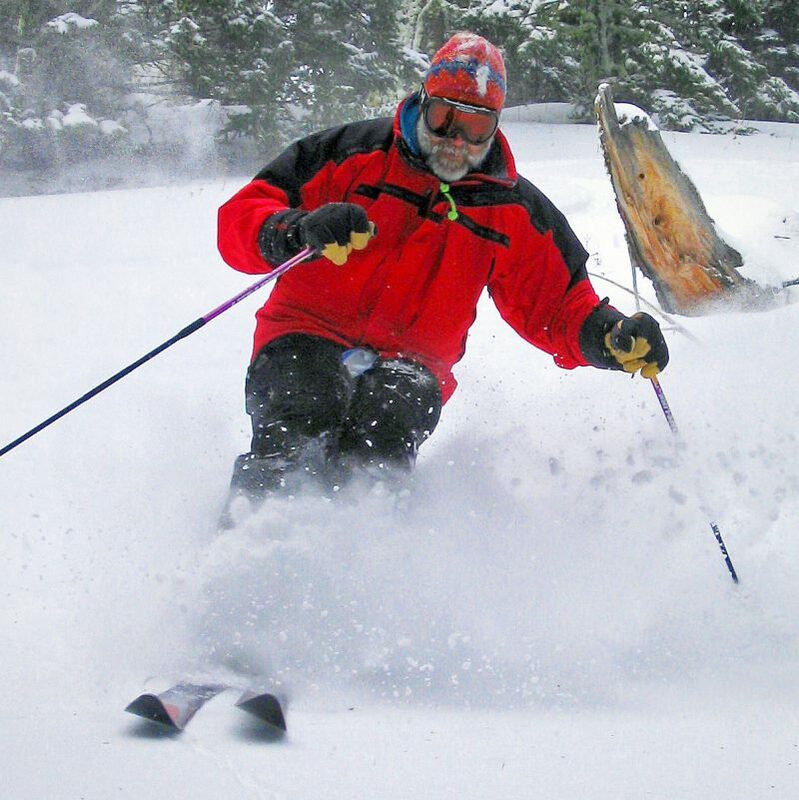 In 2004 Larry Scrivanich, Mission’s owner, addressed that complaint by replacing Chair 2 — the double chair accessing the resort’s summit and the majority of its terrain– with a high-speed quad. In the style of Central Washington, a part of the state where salaries are modest, a used quad was purchased from Winter Park, Colorado. For a fraction of what it cost to erect a new lift, Mission Ridge addressed its main pitfall. 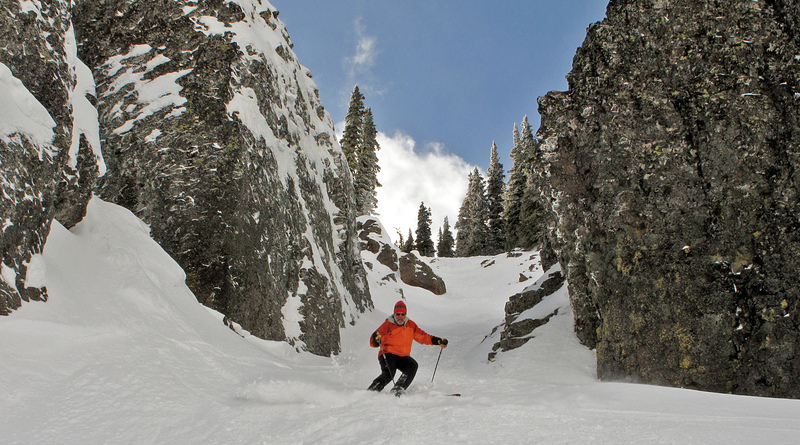 Photo: Mike Rolfs carving powder in the Mission Ridge sidecountry. On this afternoon, Dahlgreen uses the ride skyward to steep in the scenery and enjoy the divine light saturating the mountain. It’s Sunday yet only a few dozen skiers are visible on the slopes below, each trailed by a flaming golden contrail. There’s a spiritual character to the moment and, smiling mischievously, Dahlgreen worships Seattle-style—he lifts his snout to the yellow orb and yips. Mission Ridge Stats. 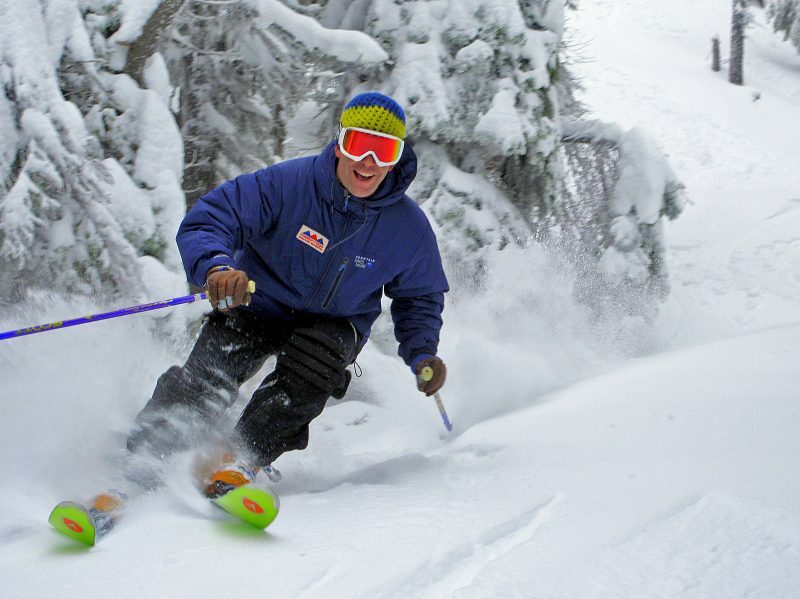 Now in its 50th year of operation, Mission offers 2,000 skiable acres; 2,250 vertical feet; 36 trails; 158 annual inches of snow; top-to-bottom snowmaking on 66 acres of terrain; 1 high-speed quad, 3 doubles, 2 surface tows. Lift Tickets. Adult day pass $63. Primetime (ages 18-24) $53. Youth (ages 10-17) $43. Lodging. There are no on-mountain accommodations yet no shortage of rooms 12 miles away in Wenatchee. A number of properties offer discounted stay-and-ski packages providing two adult lift tickets and one night’s lodging (double room) for $169 (as of 2017). Click here for details. Dining. The Windmill is locally famous for its hand-cut meats—try the Whiskey Pepper Steak with a Gordon Brother’s Merlot (509-665-9529). Visit Viscontis for quality Italian entrees like Rack of Lamb or Cioppino, a spicy seafood soup (509-662-5013). For margaritas and generous portions of Carne Asada or Fajitas, try La Fuente (509-664-1910). Or go visit Pybus Market, for a variety of dining choices. Photo: Tom Janisch taking a stroll through Central Park. Après-Ski. On the mountain, visit upstairs lounge in the Hampton Lodge (try the Liberator Amber or Bomber Ale). In downtown Wenatchee, McGlinn’s Public House (509-663-9073) is an ever-popular gathering place after skiing. Specialties of the house include local brews and Central Washington wines. Don’t miss the Stemilt Retail Store (509-663-7848, www.stemilt.com). Wenatchee calls itself the apple capital of the world; test that claim by sampling the exotic varieties of apples (and pears) kept in cold storage. Getting There. From North Seattle: Drive Highway 522 to Monroe, then Highway 2 east to Wenatchee. 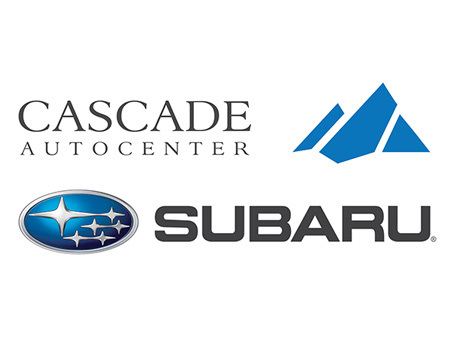 From South Seattle: Drive I-90 east to Exit 85, Highway 970 east to Highway 97, Highway 97 north to Highway 2, and Highway 2 east to Wenatchee. Driving time to Wenatchee from Seattle is roughly 2.5 hours. 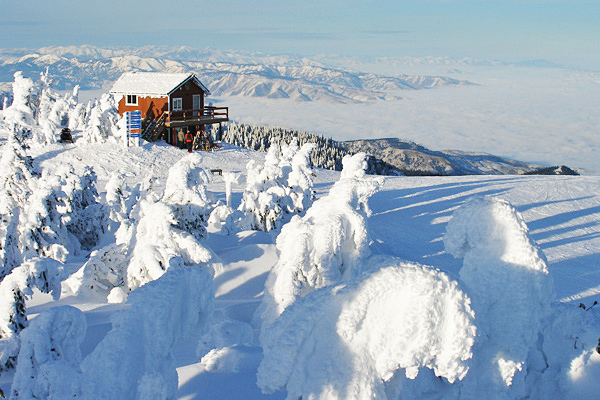 To reach the ski hill, drive 12 miles up Squilchuck Road from the south end of Wenatchee. Information: See the Mission Ridge website, call 509-663-6543, or email info@missionridge.com. This post was originally published on 12/22/2006 and updated March 5, 2017. Photo: Matt Dahlgreen yipping it up. * This number is touted by local marketing associations—take it with a grain of salt.